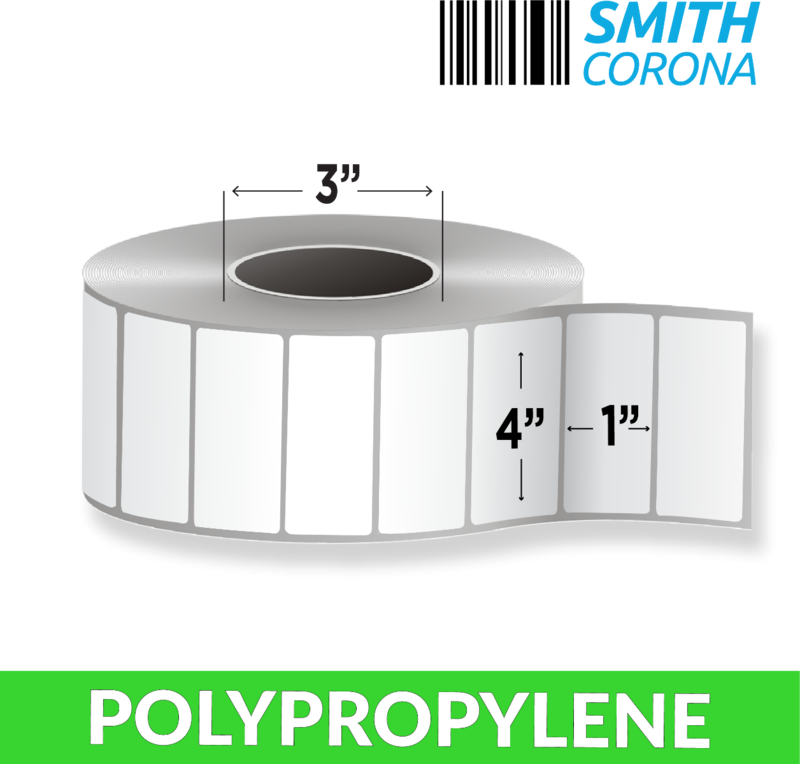 4" x 1" Polypropylene - Thermal Transfer Labels On A 3" core With 5440 Labels Per Roll And 4 Rolls Per Box ... read more. Unfortunately, we only sell one roll at a time. We highly recommend that if you want to purchase more than one roll at a time, that you purchase a box instead, thank you. Our labels are perfect for many applications including: shipping, barcoding, inventory tracking, and much more. The high-quality polypropylene material we use in our labels ensures that they will print dark. These labels are also perforated for easy tearing. Polypropylene labels are ideal for long term applications. 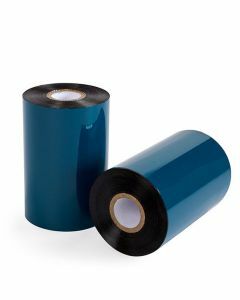 If you need your label to last longer than a paper label and be able to withstand the elements, this is the label for you. These labels are tear resistant and much more waterproof than their paper counterparts. One important thing to note is that these labels will require a special wax resin ribbon.